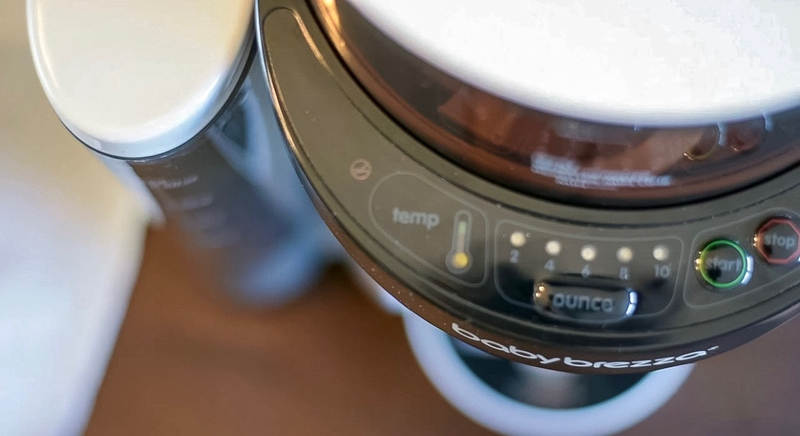 The best way we’ve found to describe what the Baby Brezza Formula Pro does is that it’s like a cross between a Keurig machine and a high-end coffee maker. But for baby formula, of course. 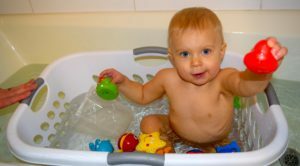 For this review, I spent 2 months (and counting) using the Formula Pro to make formula for my son Calvin. 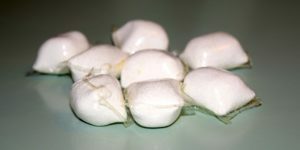 What is the Baby Brezza? 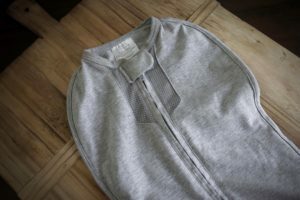 Our review of the Baby Brezza – the awesome, wish it were different, and a verdict. 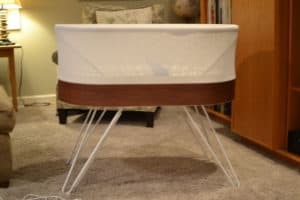 What is the Baby Brezza Formula Pro? In short, the Baby Brezza Formula Pro makes bottles of formula. But that’s a simplification. 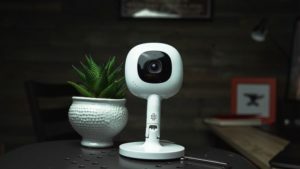 The best way we’ve found to really capture what it does is a cross between a Keurig machine and a high-end coffee maker. 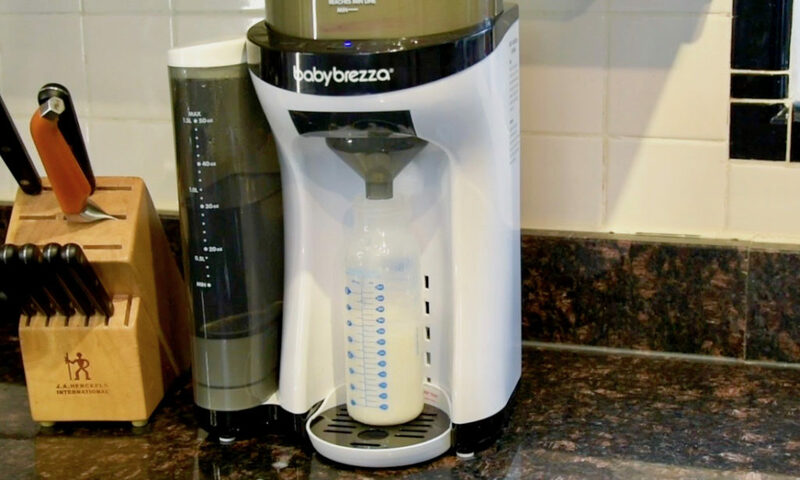 You don’t use pods, but rather dump powdered formula (you can use nearly any brand you like) into the top of the Baby Brezza, add water to the Brezza’s water tank, and push a button. When you do this, the Formula Pro will mix the formula with the warm water in the tank (it heats water to approximately 98 degrees and holds it at that temperature until you’re ready to make a bottle) to create a perfectly mixed and heated bottle, all in less than 30 seconds. The Formula Pro holds 700 grams of formula and 50 ounces of water – enough for 9 six-ounce bottles before you need to replace the water, and about 25 six-ounce bottles before you need to add more formula. 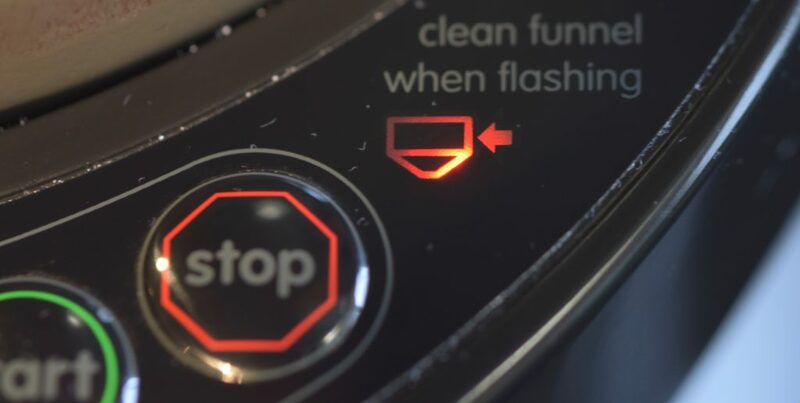 The water tank in the Formula Pro holds water at a constant temperature at all times, meaning it’s ready to go at the push of the button and you won’t need to wait for the water to heat up, which is how the unit is able to achieve such a fast time to finished bottle. The Formula Pro is a beast of a machine. It’s relatively large and comes with 13 removable parts in addition to the main unit. All of these parts come disassembled (Baby Brezza recommends you sterilize all parts before initial use), which can seem a bit intimidating at first, but in practice, we found it was relatively straightforward and quick to assemble – it took about 30 minutes including the initial washing and drying of parts to sterilize them. The instruction booklet was clear and included pictures as a visual guide. The only slightly painful part of assembly was that you’ll need to manually set the formula number that corresponds to the formula you’re using, which involves going to a page on the company’s site that’s a bit hard to find (here’s a direct link to it), and then set the wheel to the number that corresponds to the formula you’re using. In the end, especially after using the Formula Pro a few times and discovering just how fast and easy it was compared to other methods of making a bottle, the initial setup was well worth the half-hour time investment. Since the Formula Pro stores formula and water and holds the water at the temperature you want, using it is incredibly simple. Assuming you have enough water and formula (there are clearly marked lines on each holding tank that indicate the need to refill), you’ll just put a bottle under the spout, select the size bottle you want to make (options are 2, 4, 6, 8, or 10 ounces – we’ll discuss this as one thing we wish was different later), hit the start button, and you’re off to the races. The Formula Pro is designed to work with nearly any baby bottle and handled the big Dr. Brown’s bottle we used quite easily. Pushing start on the Formula Pro causes it to start turning all those wheels you put together in the initial setup process and, by some mysterious means, mix the formula and the warm water together, and then funnel the completed formula into the bottle via the spout. Since you’ve set your size, the Formula Pro will automatically stop once it has produced the correct amount of formula. The length of this process depends on the size of bottle you’re making, but all are pretty fast – 14 seconds for 2oz, 30 seconds for 10oz. You can actually make a bottle with water that isn’t fully heated, which was useful when a couple of times I realized the water tank was empty, and when I had a hungry baby in the middle of the night it was better to have a bottle of cooler water than wait for the water to heat up. The Formula Pro does require some ongoing maintenance, which falls into three categories – adding more formula and water as needed, stuff you should do after several uses, and monthly sterilization. Every 20-50 or so bottles you make, depending on the current size of bottle you’re using, you’ll need to add more formula. This process was incredibly simple – just remove the lid and dump in a bag or scoop formula out of a container. Slightly more frequently – every 6-25 bottles depending on size – you’ll need to add more water. The water tank is detachable so you can add water directly by placing it under the tap or your filtered water source, but Baby Brezza makes a huge deal about not getting any water underneath the tank, so I worried about using this process. Instead, I ended up using a big water bottle to pour water into the tank while it was attached to the unit. According to Baby Brezza, you’ll want to clean the funnel pieces after every third use to remove any formula buildup. These pieces are easily removable, so this is quick, and in practice, I didn’t notice any formula buildup after this number of uses, so I decreased the frequency with which I did this. One place I did notice gunky formula buildup more frequently than Baby Brezza suggested was on the bottom of the formula canister where the water mixes with the formula. I ended up cleaning this after every 5 or so uses. The times I forgot and waited longer than that resulted in some very crusty buildup that required some scraping to remove. I used a fork for this and found it weirdly satisfying to do. 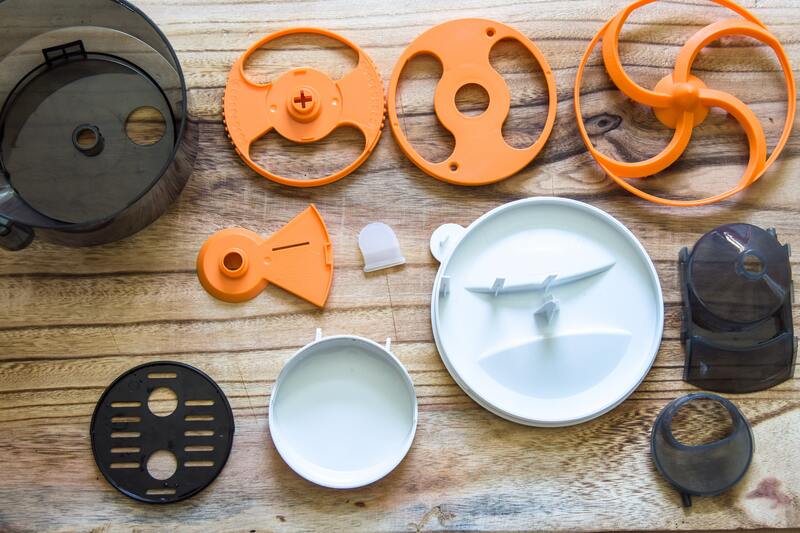 Once per month Baby Brezza recommends you fully disassemble the unit and sterilize the water tank, formula tank, and individual funnel and mixing components of the unit. This process took about 20 minutes to disassemble, wash, and reassemble, not including drying time (make sure all of the pieces are completely dry before you reassemble to prevent wet pieces from collecting formula powder. Overall, the Formula Pro is super easy to use. The convenience of just pressing a button and having a ready-to-go bottle was incredibly awesome, especially when compared to alternative methods of making formula bottles. Again, since Calvin is adopted and breastfeeding isn’t an option, we make a lot of bottles at our house. Having used the “hold it under the faucet” and bottle warmer methods with my older son, I know just how painful these can be, especially in the middle of the night. There’s not much worse than waiting and waiting for a bottle to be warm when you’ve got a hungry, crying kid. 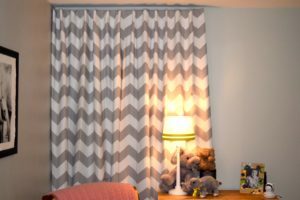 Beyond the time, the prospect of measuring formula and trying not to spill in the middle of the night and having to turn on bright lights to do so is worth noting too. Speed. 30 seconds or less from start to finish is darn fast, especially when compared to alternatives. Convenience. Again, compared to alternative methods, the Formula Pro is easy and never makes a mess or wastes water. Design & aesthetics. The Formula Pro is a good looking machine and one we didn’t mind having on our kitchen counter. But, more importantly, I felt the design was well thought out to make it easy to use, keep it clean, decrease the likelihood of spills, and work well with bottles we already had. Water tank size. At 50oz, the water tank needed refilling after just 9 six-ounce or 6 eight-ounce bottles. This added some time to that ’30 seconds or less’ number and resulted in a few times when I forgot to fill it up and had to do so in the middle of the night. Obviously, the company was thinking about the size of the unit here, and a bigger tank would have meant more counter space. No odd number of ounces sizes. The Formula Pro allows you to make 2, 4, 6, 8, or 10oz, but nothing in between. Calvin went through a couple of periods where he was in between two of these sizes – 5 or 7 as examples – and we had to make the next size up and waste an ounce of formula, or use the “stop” function on the Formula Pro to try and stop the creation of the bottle in between fixed sizes. Neither of these were great options. Not a lot of detail on inner-workings. I realize this won’t apply to everybody, but I felt like the ‘how it works’ behind the Formula Pro was a bit lacking. I wanted to understand more about how the thing actually created the bottles, where the mixing happened, etc., but this was lacking from the documentation that came with it, and perhaps caused the issue where I didn’t realize I needed to clean the underside of the formula compartment more frequently. I’d struggle to say the Formula Pro is a ‘must have’ – you can certainly make bottles of formula without it, but, especially if you’re going to be making a lot of bottles over a long time period, it’s just awesome. 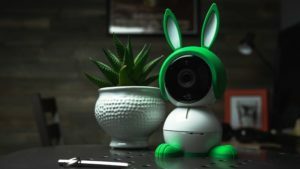 And, at around $170, it’s reasonably priced for what it does and if you’re going to be using it for a long time, or perhaps across multiple kids, you can amortize that cost over a ton of bottles made. The Formula Pro also ended up saving me an incredible amount of time, which as any parent knows is something that is in short supply and worth a whole lot. For these reasons (and all of the middle-of-the-night heartache the thing saved me, I strongly recommend it. The Formula Pro is available at Buy Buy Baby, Babies ‘r Us, big box stores like Target & Walmart, and for all you Prime members out there, available through Amazon with free, fast shipping. 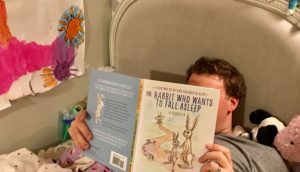 This is part of our ongoing series Tools of the Modern Father, where we do in-depth reviews of stuff we think might belong in the modern dad’s toolkit. You can find all of our reviews here.